WALK THRU WITH 3D VIRTUAL TOUR! INCREDIBLE VALUE IN PRESTIGIOUS LAKE COMMUNITY! 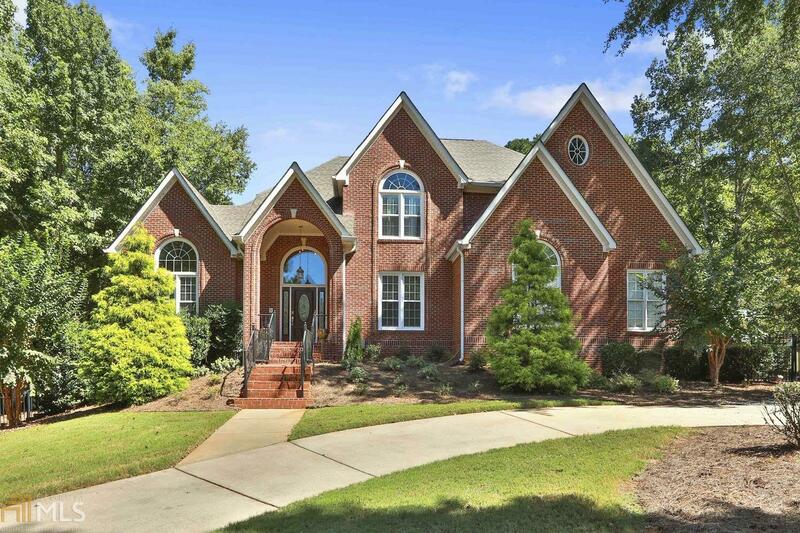 EXQUISITE BRICK SHOWPLACE FEATURES "BACKYARD RESORT" WITH GUNITE POOL, SPA & WATERFALL! "OUT OF THIS WORLD" chef&apos;s kitchen for the serious cook...equipped beautiful handcrafted cabinets, exotic granite counters & huge center gathering island, Kitchen Aid commercial 6 burner cooktop, 2 ovens, ice maker, microwave drawer & wine cooler! Open flowing plan, perfect for entertaining, with elegant formal areas, stunning barrel ceiling, Palladian windows, great room, exec office & hardwood/tile floors on all 3 levels! Luxurious owner&apos;s retreat w/sitting area & brand new spa bath! Terrace incudes a granite pub bar, rec/billiard and game rooms, fireplace, guest suite + steam shower! Directions: From Hwy 54 Take Hwy 74 North, Right On Peachtree Pky, Left Into Smokerise On Tinsley, Left On Smokerise Trace, Left On Loyd***thanks For Showing!!! Fantastic Value....updated Too!